I have a new sweatshirt, and I am quite proud of it to be honest. 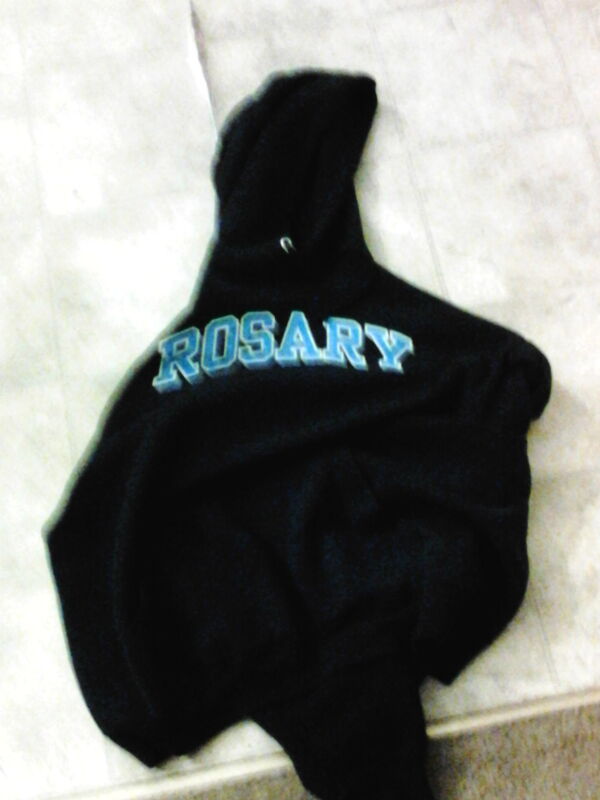 It is a Rosary high school sweatshirt Marmion’s sister school. Something you should know is that most Rosary girls own a Marmion sweatshirt, but I am pretty confident that only 1 Marmion student items a Rosary sweatshirt, and that would be me! You have no idea how many reactions I have gotten from people who see me with the sweatshirt! Many of thee Rosary girls I know appreciate seeing me with it. They see that I support the brother sisterhood unlike the majority of guys at Marmion. Now I’m not hating on my brothers because they’re awesome, but they lack in support for our sister school. Another reaction I have gotten is from a nun who stopped me in target to tell me she loved the fact I was wearing the sweatshirt! Thank you strange nun! 🙂 lastly I got asked by a freshmen at Rosary if I worked at Rosary…. Really!?!?!? I’m sixteen! In all honesty I’m surprised people don’t just assume I’m a guy supporting Rosary apparently me wearing this sweatshirt is wrong or unusual, but I don’t care! This is my small step, hopefully others will follow along, oh and as a side note they’re super comfy 🙂 all my Rosary sisters out there, you’ve got my support!